BERLIN.- For the first time the sculptural traditions of Africa and Europe have come together in a ‘conversation of the continents’ on the Museumsinsel Berlin. Over 70 major works of African sculpture from the Ethnologisches Museum (Ethnological Museum) are on display in the Bode-Museum. Art from western and central Africa meets masterpieces from Byzantium, Italy, and central Europe. Never before have the sculptural traditions of these two continents been compared so extensively. Some 20 juxtapositions throughout the permanent collection and a special-exhibition gallery address major themes of human experience, such as power, death, beauty, memory, aesthetics, and identity. Unexpected similarities and differences become apparent: the Renaissance sculptor Donatello’s putto with a tambourine seems to invite the Early Modern princess from the Kingdom of Benin to dance. 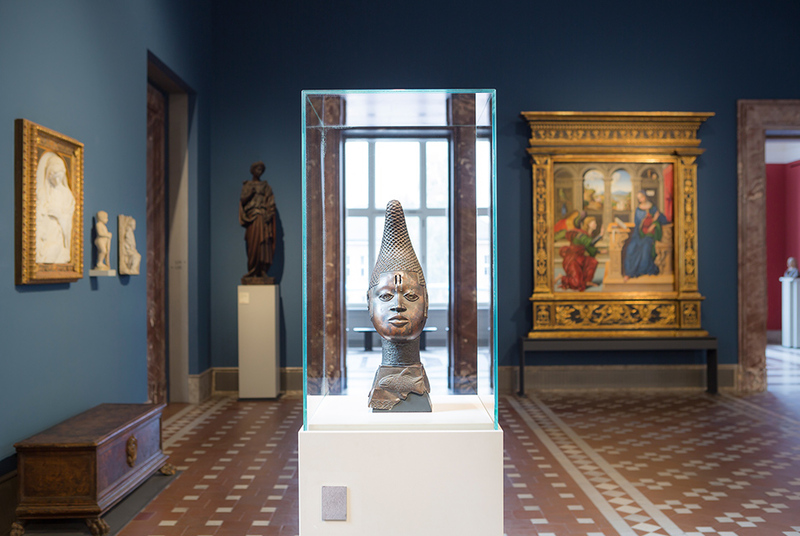 Michel Erhart’s late Gothic Virgin of Mercy appears next to a power figure from the Congo, which, like the Madonna, was also created to protect a community. The Romanesque Christ seated in judgement from the Abbey Church of Gröningen and the large Ngil mask from the Fang region of Gabon or Cameroon both present awe-inspiring images of judges. Mythical heroes from central Africa take their place among late Gothic Christian figures and open up new perspectives on both collections. An extensive catalogue and an app accompany the exhibition, both providing in-depth information on specific themes.